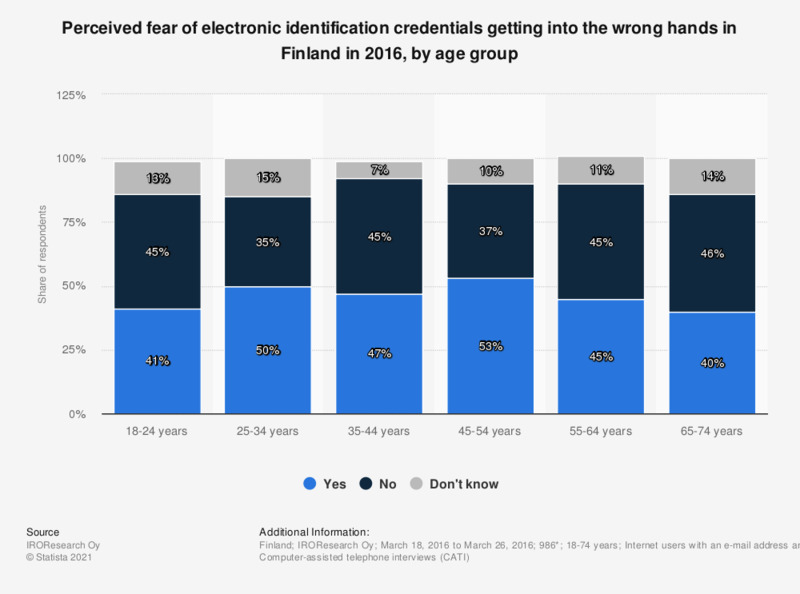 This statistic shows the results of a survey on perceived fear regarding the loss of electronic identification credentials in Finland in 2016, broken down by age group. During the period under survey, more than 50 percent of the respondents from 45 to 54 years were worried about their electronic identification credentials getting into the wrong hands. Which of the following internet activities do you engage in on a regular basis?